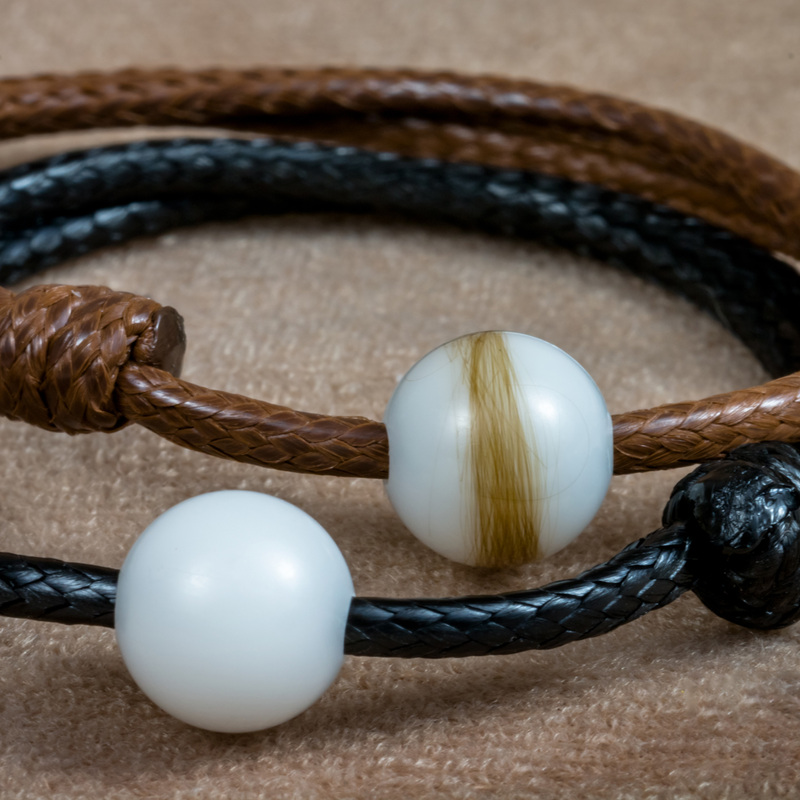 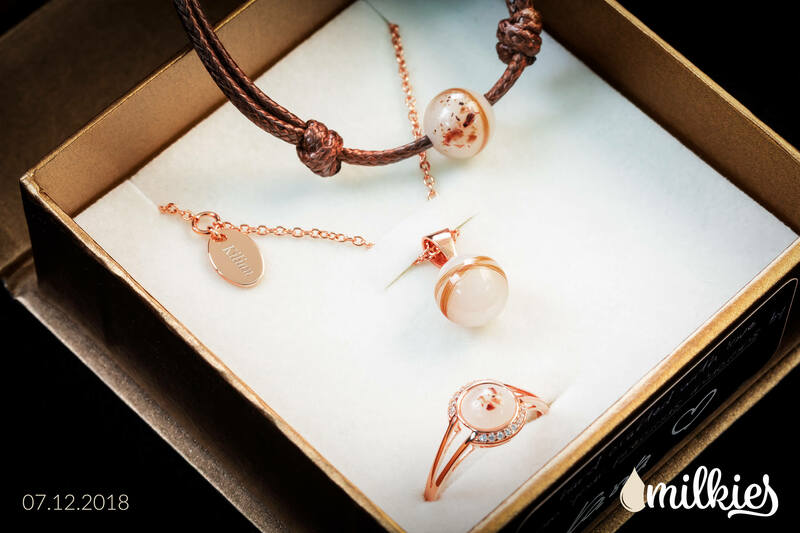 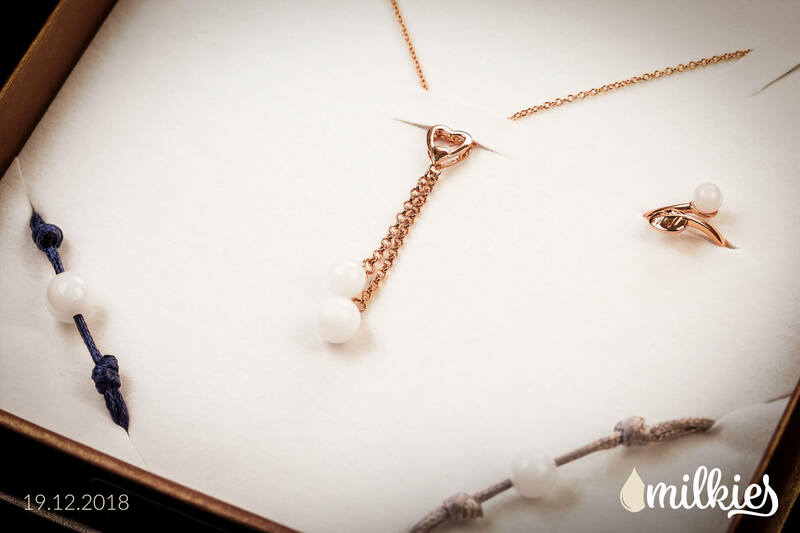 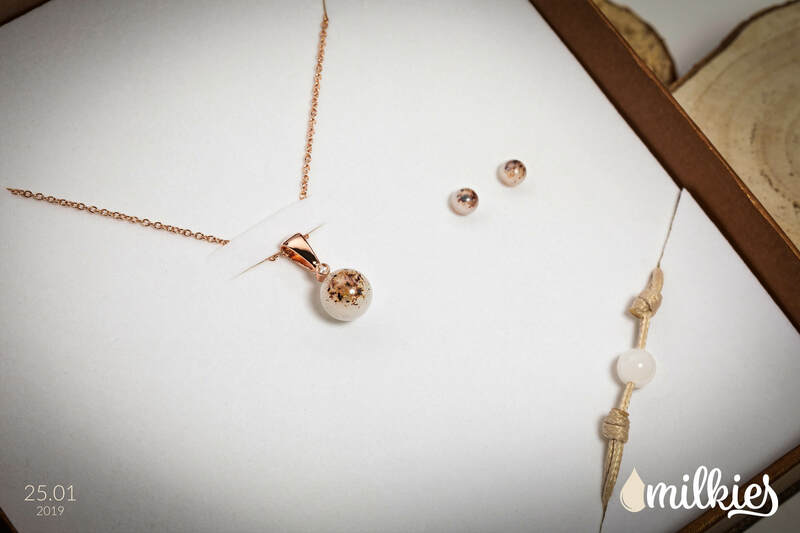 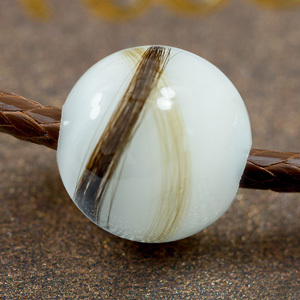 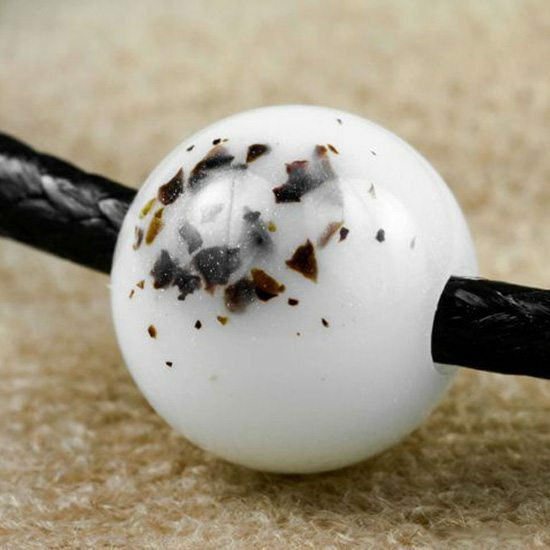 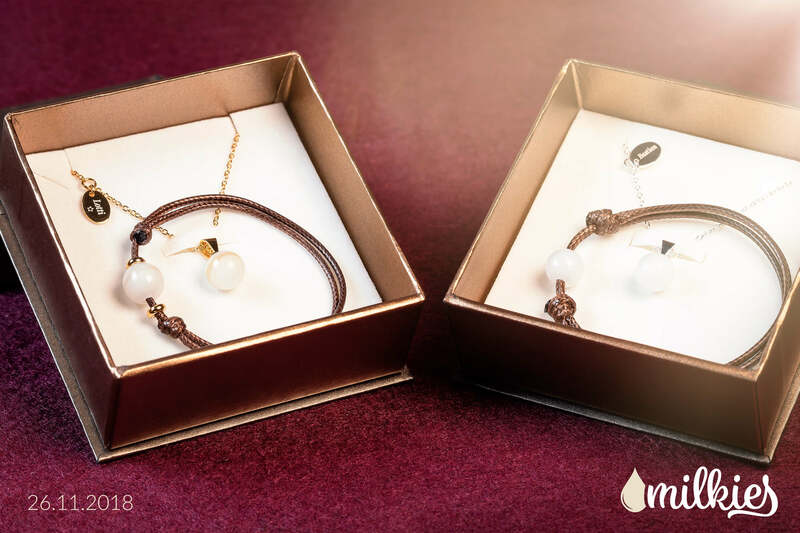 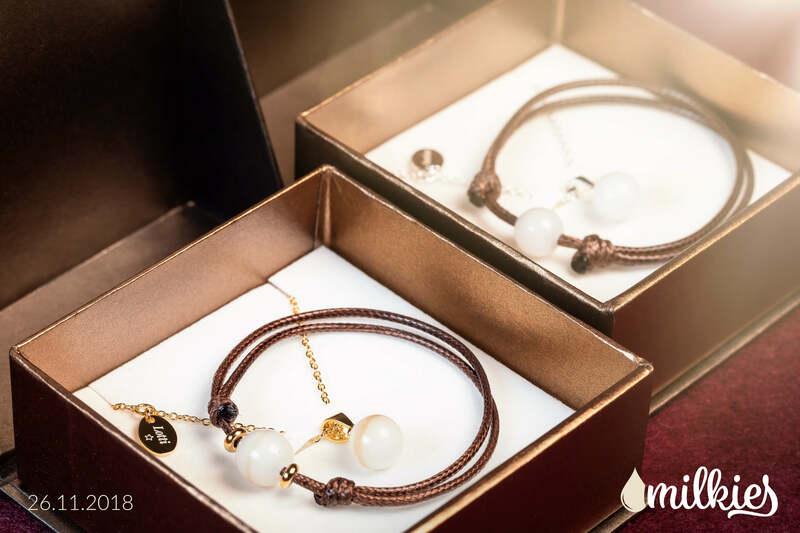 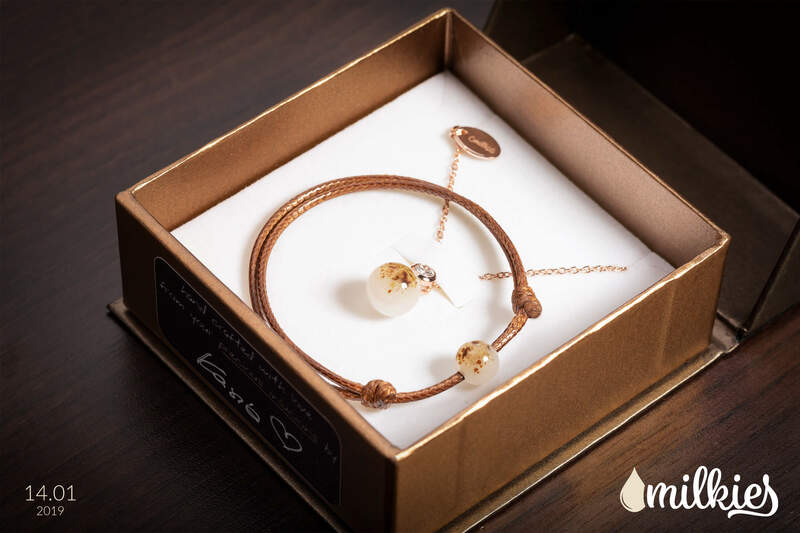 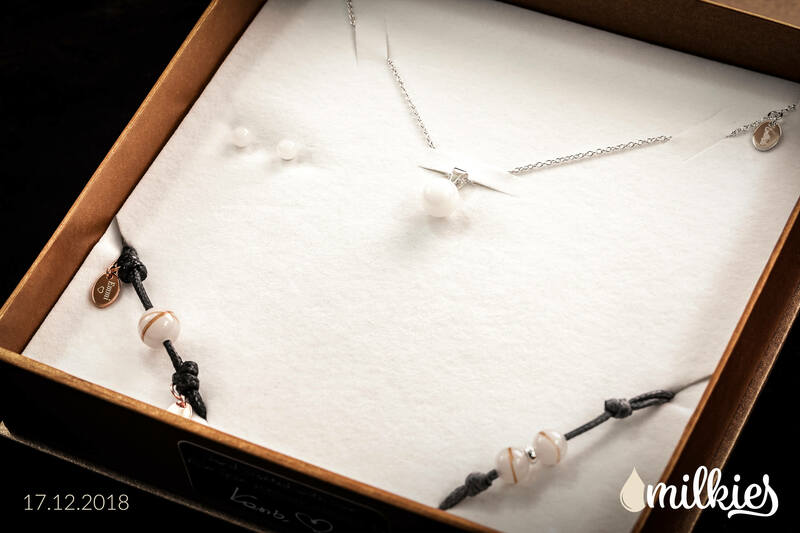 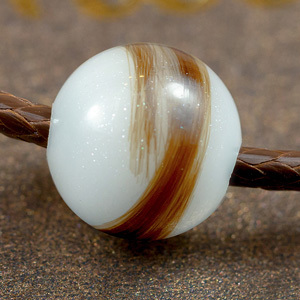 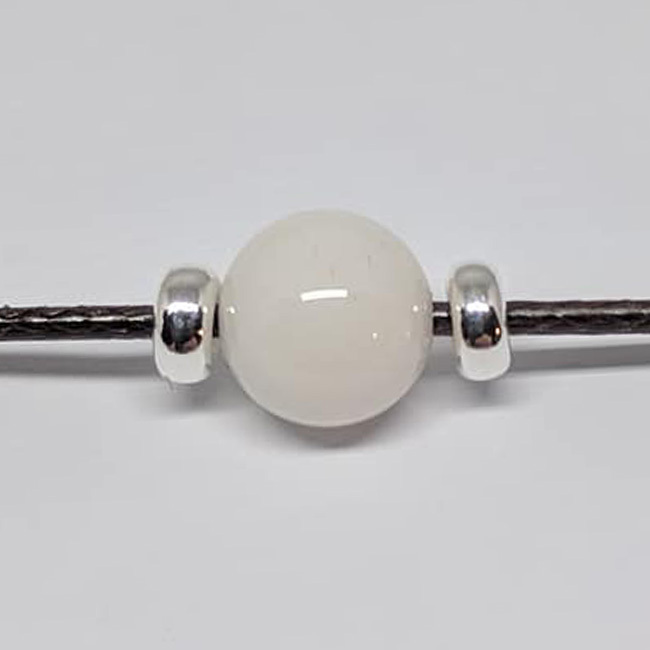 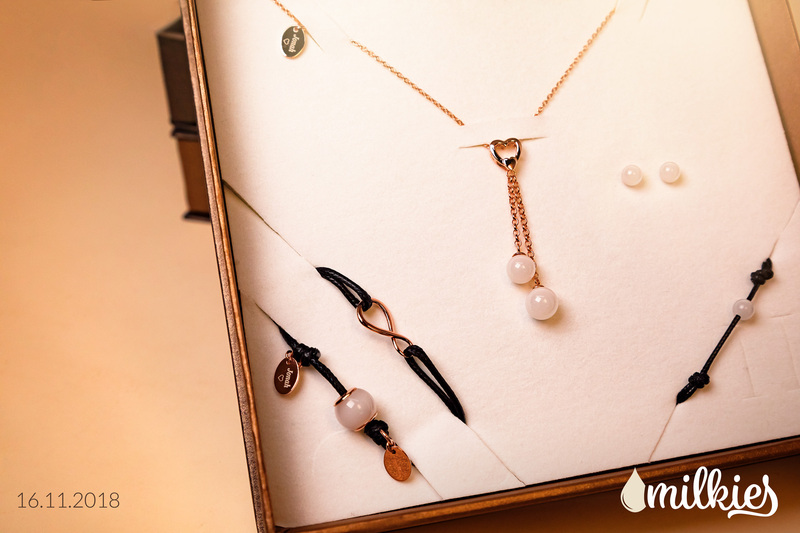 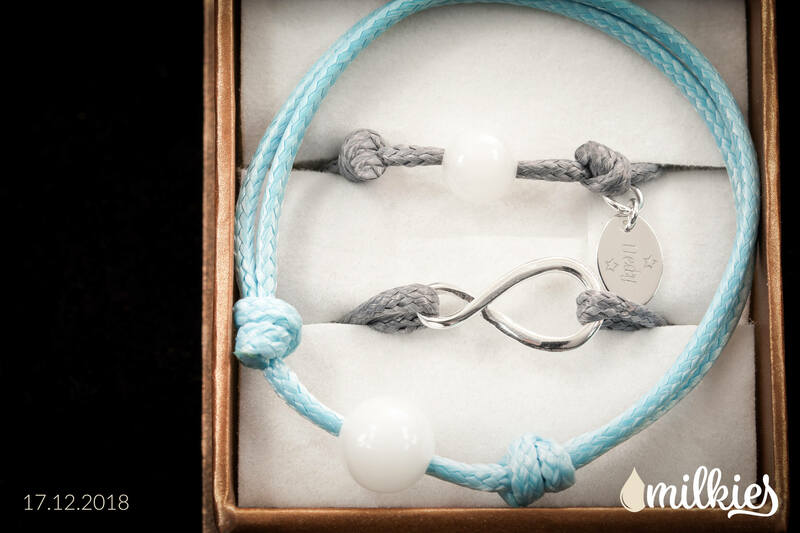 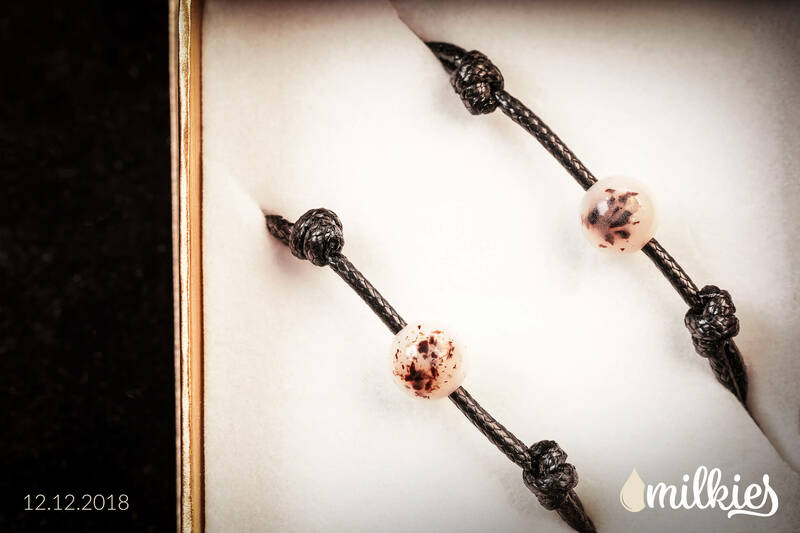 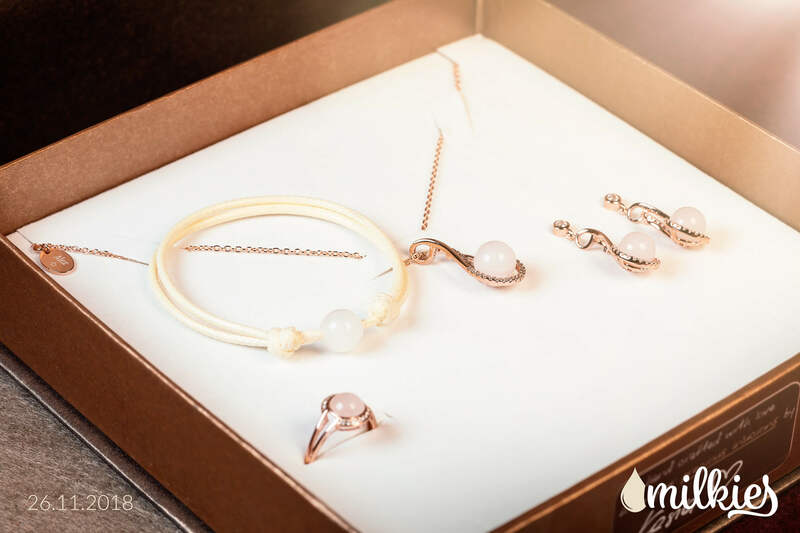 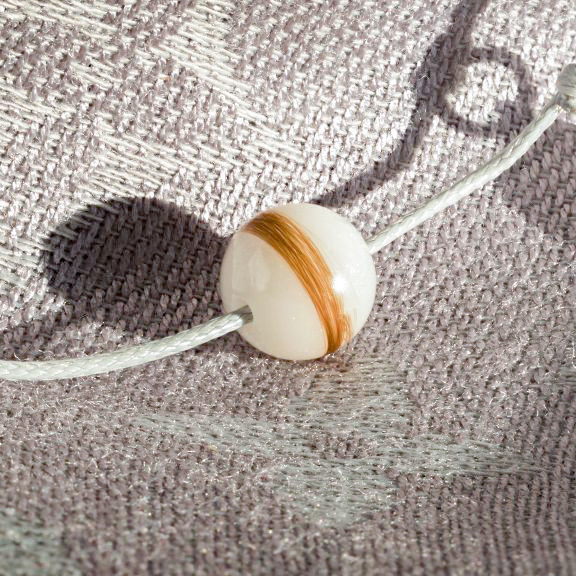 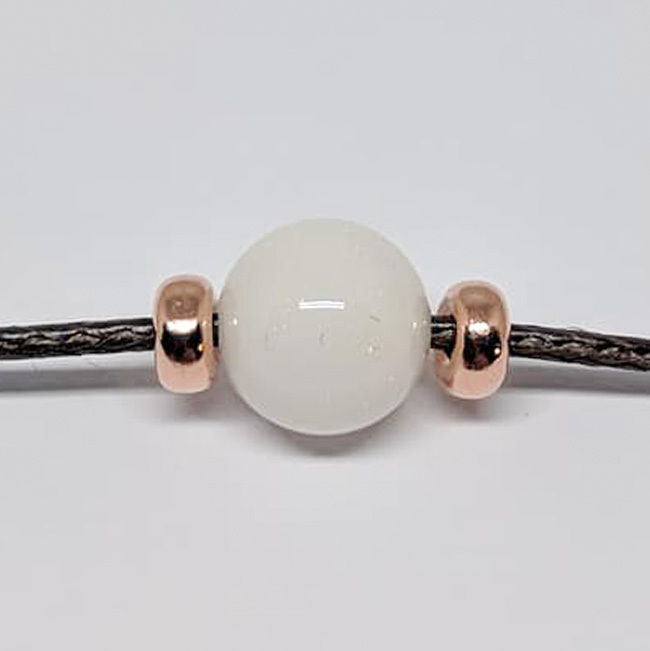 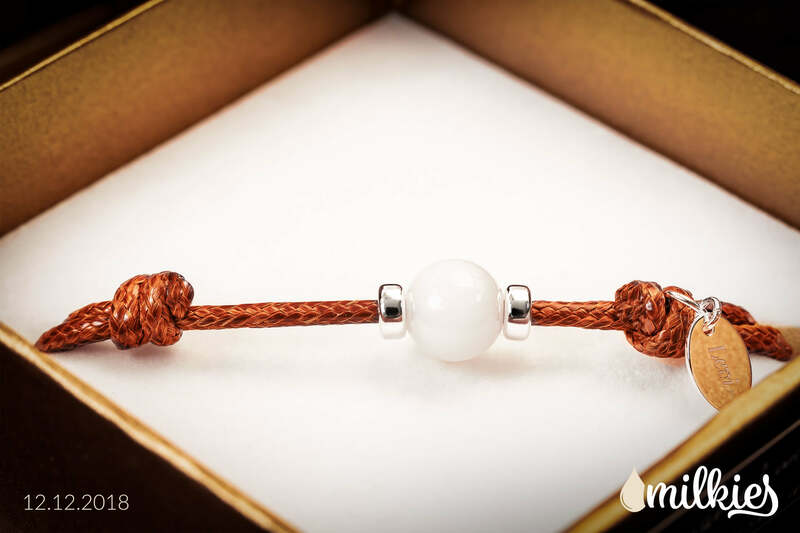 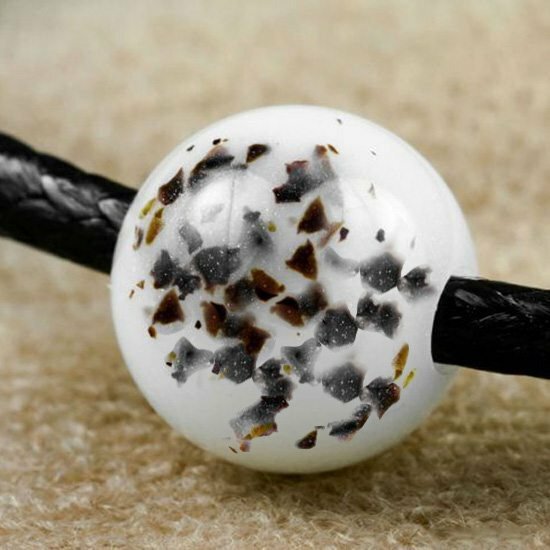 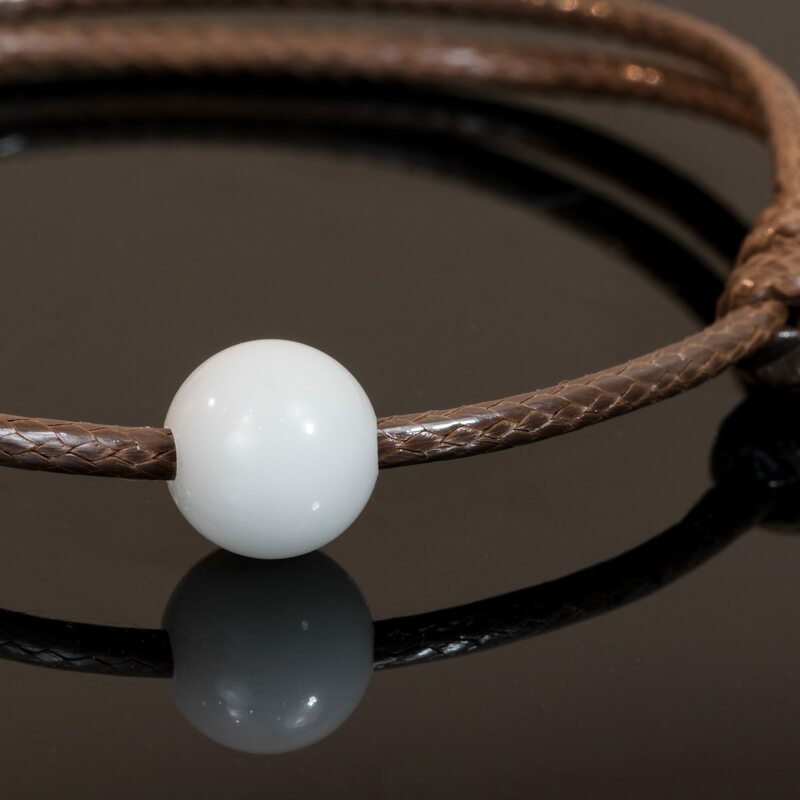 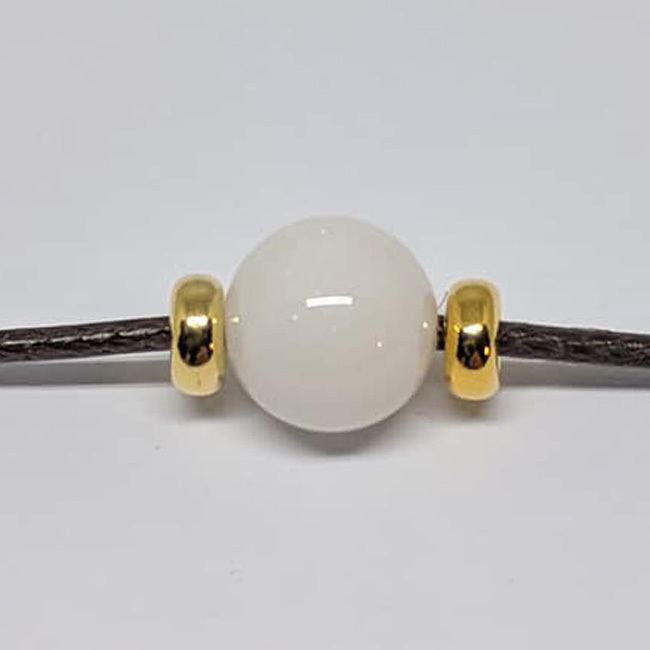 The best memories, happiest moments and impeccable beauty in a milky pearl on a cord with a timeless look. 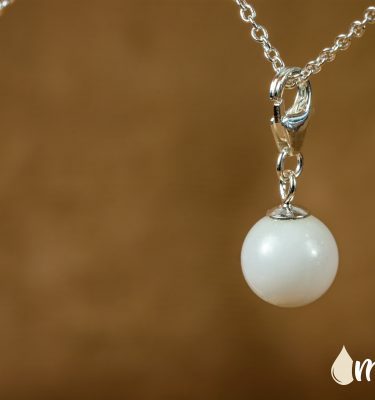 Unforgettable moments closed in a milky pearl. 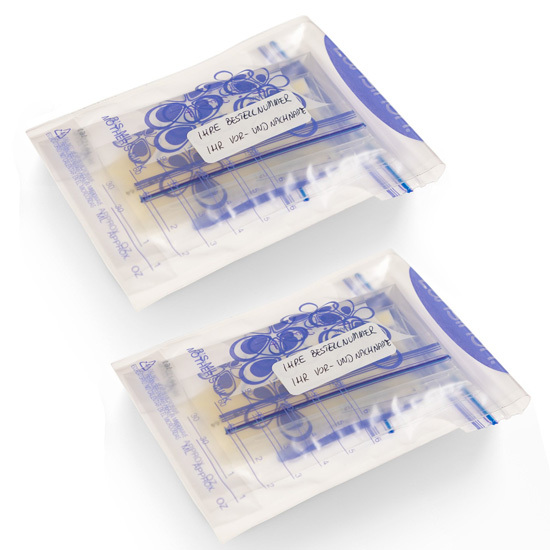 From now on, you can always have them with you! 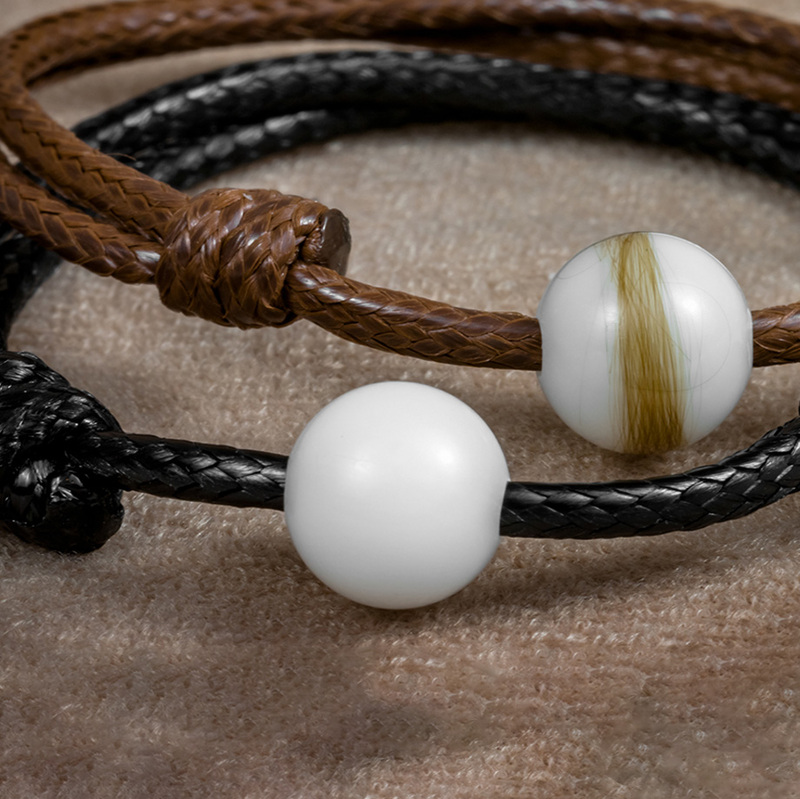 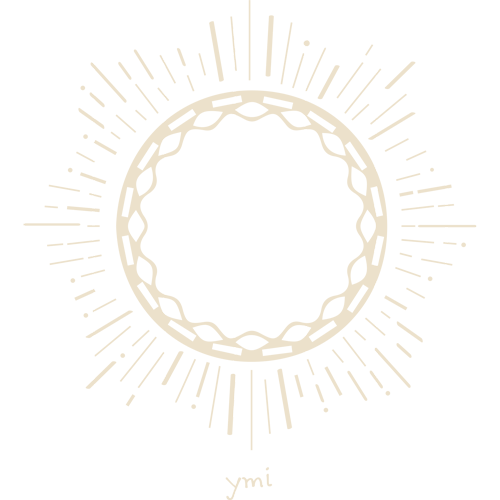 One bracelet and so many possibilities. 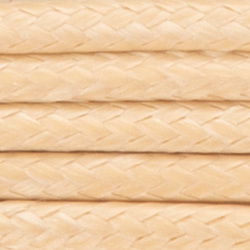 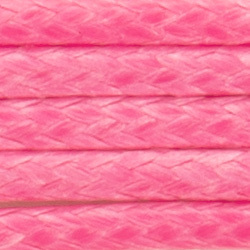 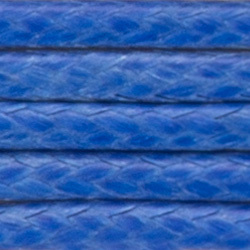 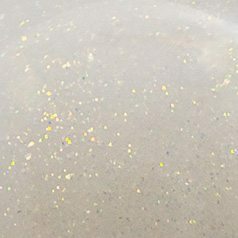 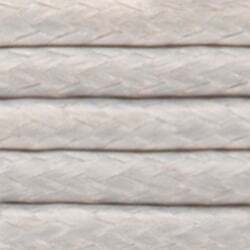 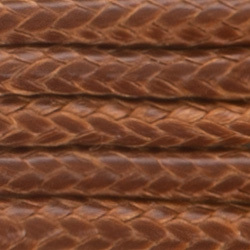 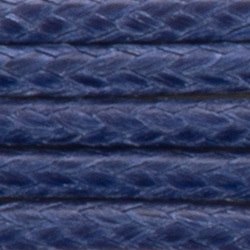 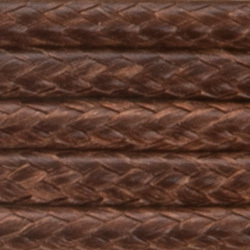 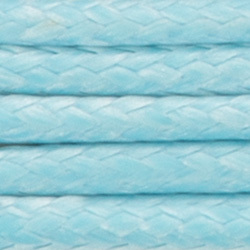 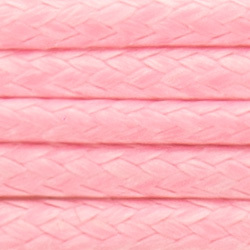 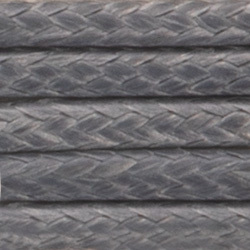 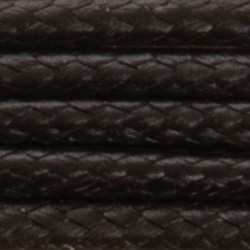 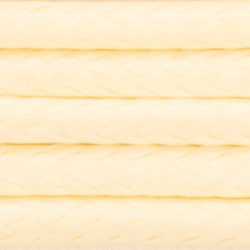 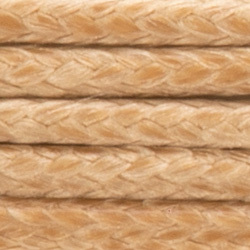 A wide range of colours as well as thicknesses of the cord, makes every bracelet unique. 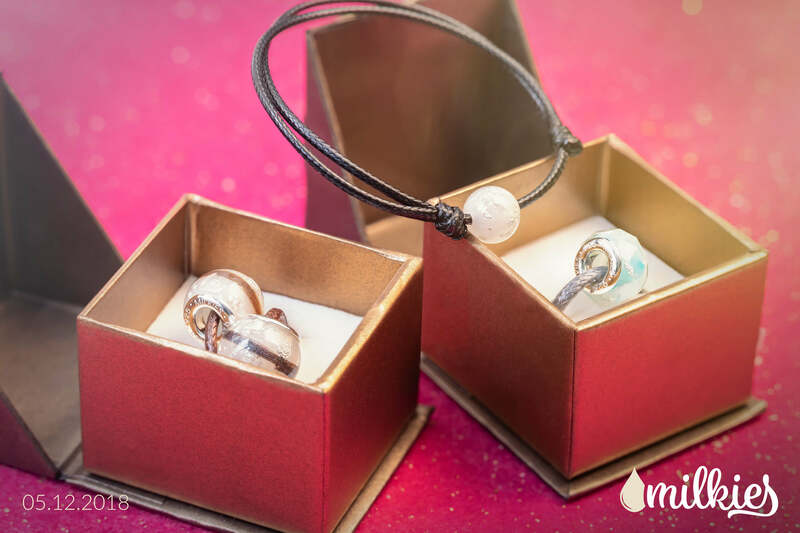 Ever since your little one was born, you want to be with them, caress them, share their joy and sorrows. 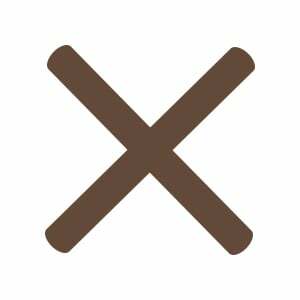  There are moments in life, however, when you have to spend a part of the day separately. 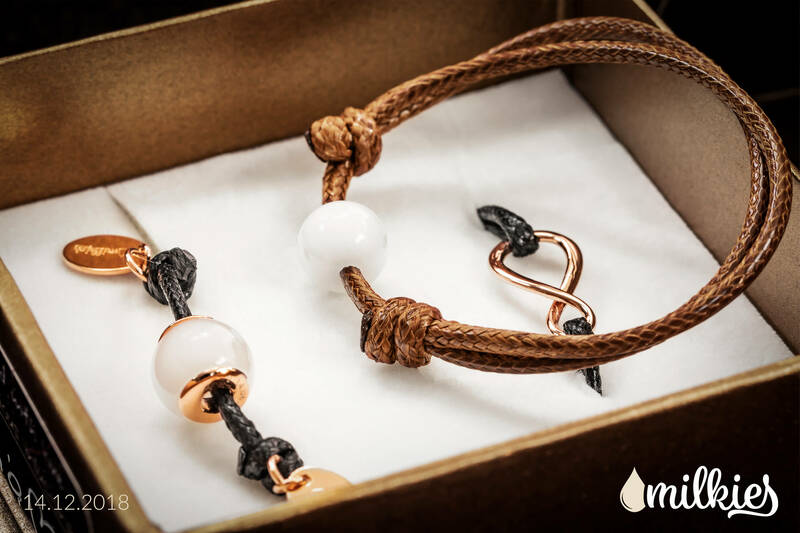 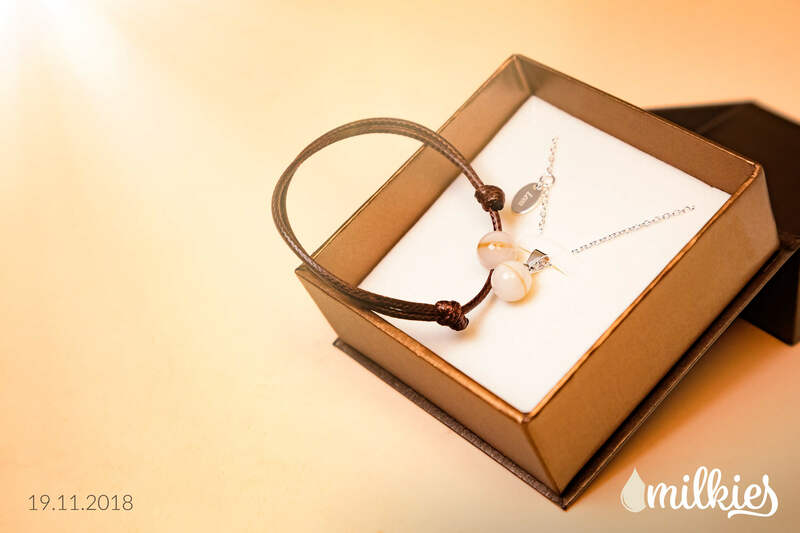 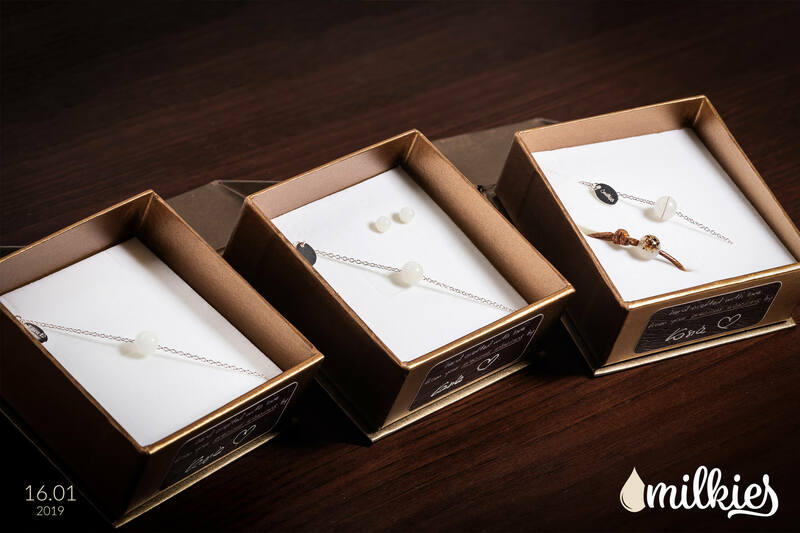 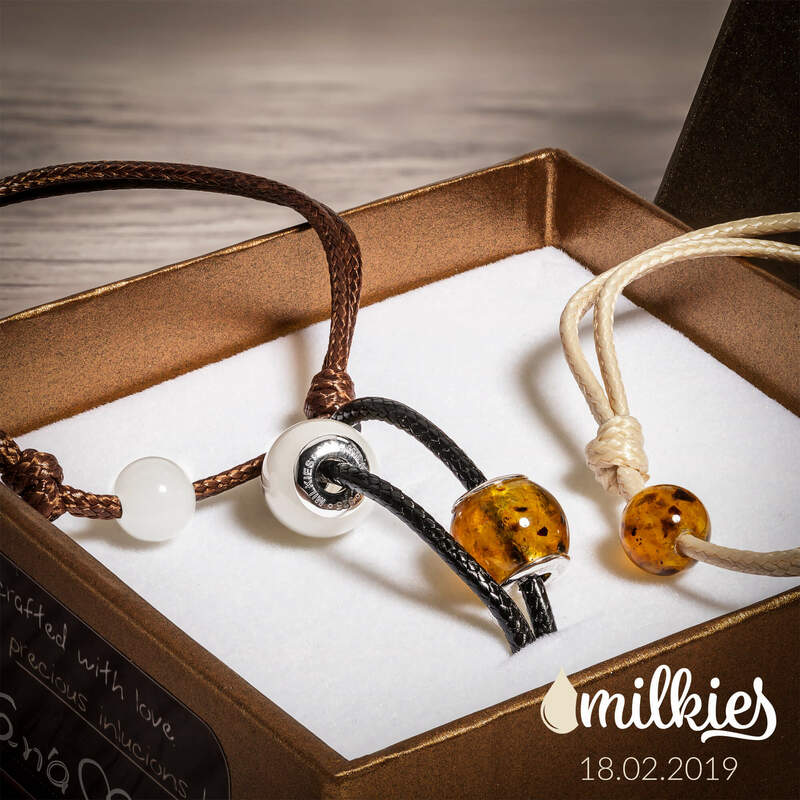 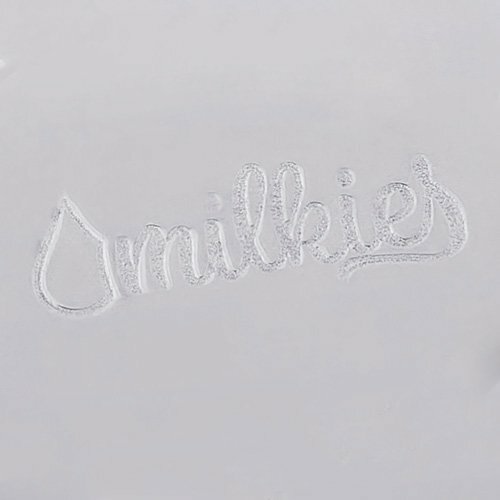 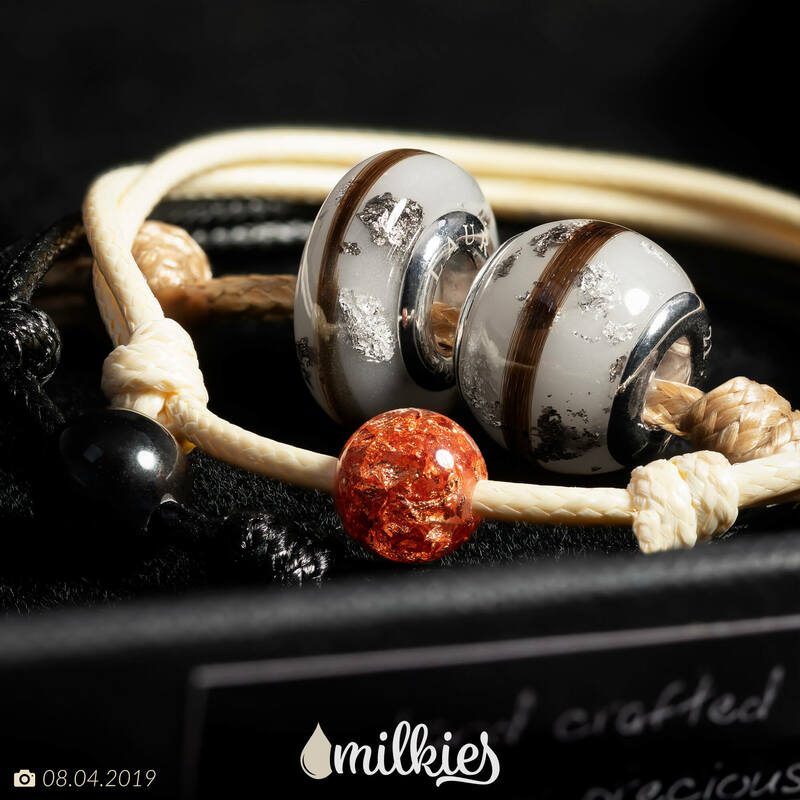 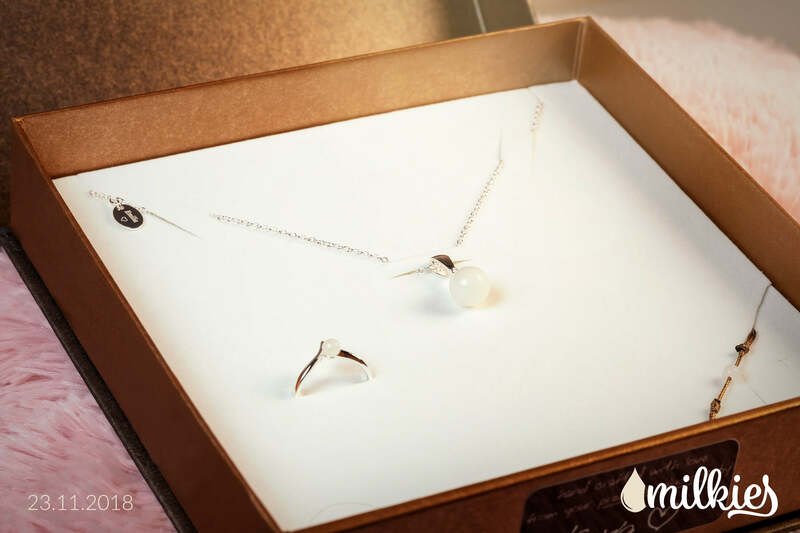 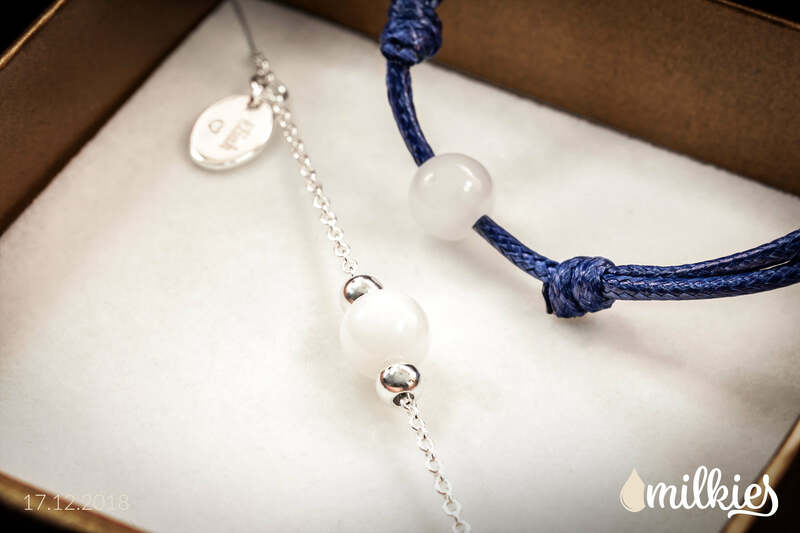 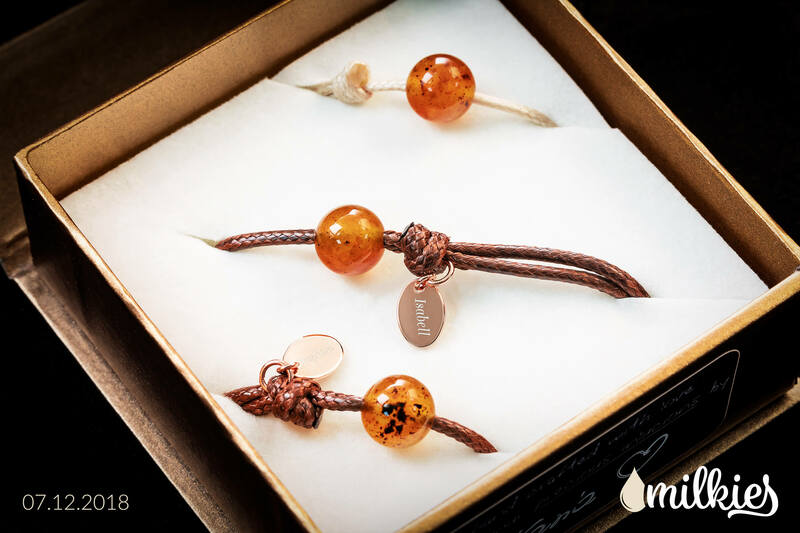 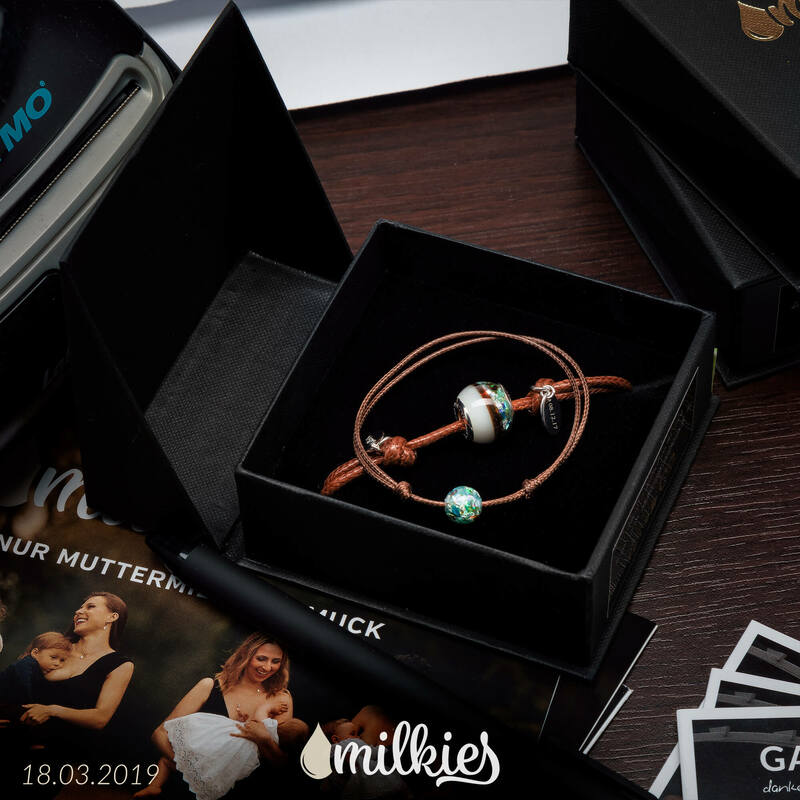 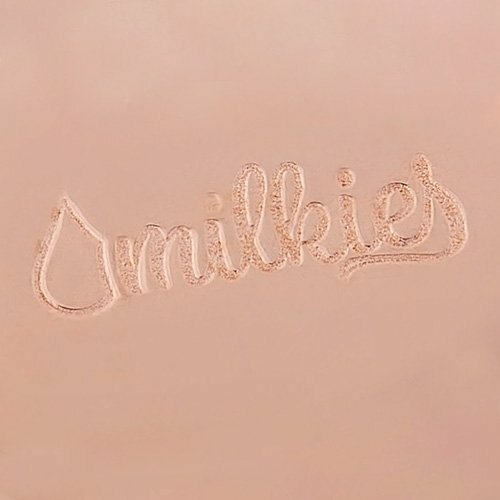 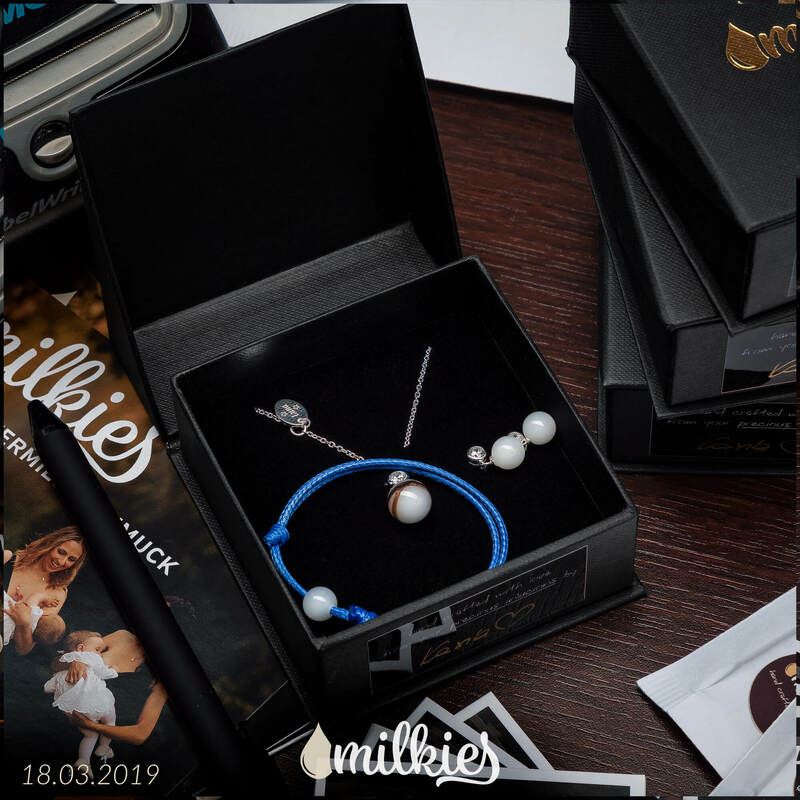 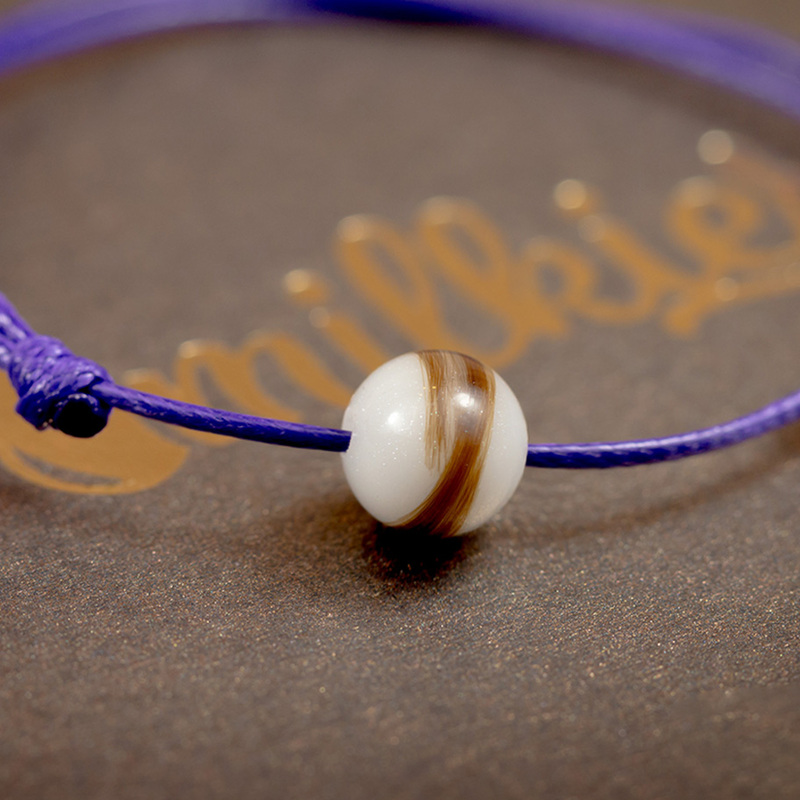 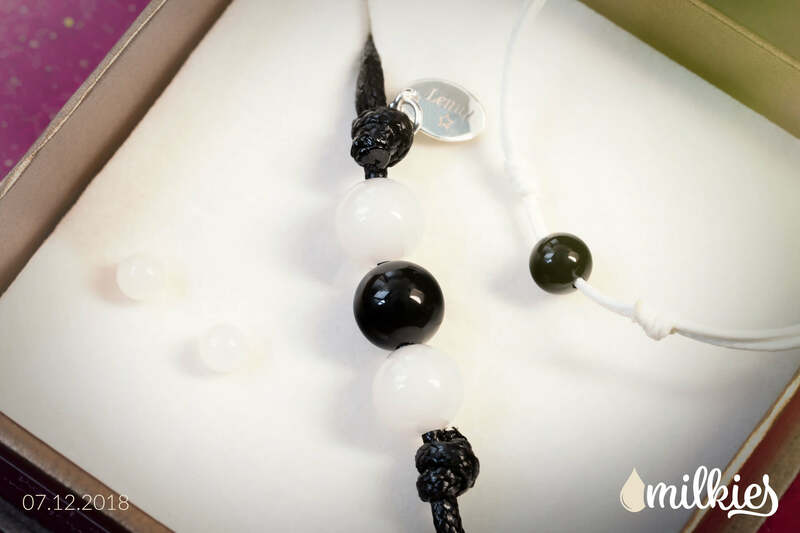 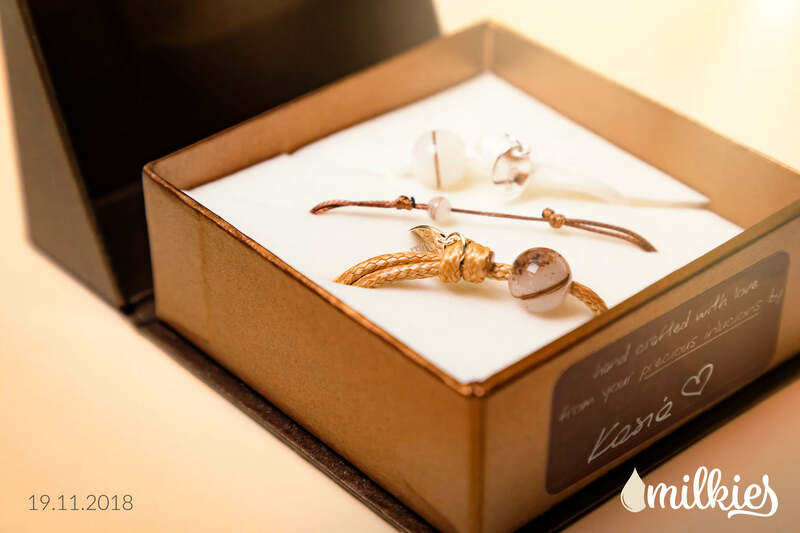 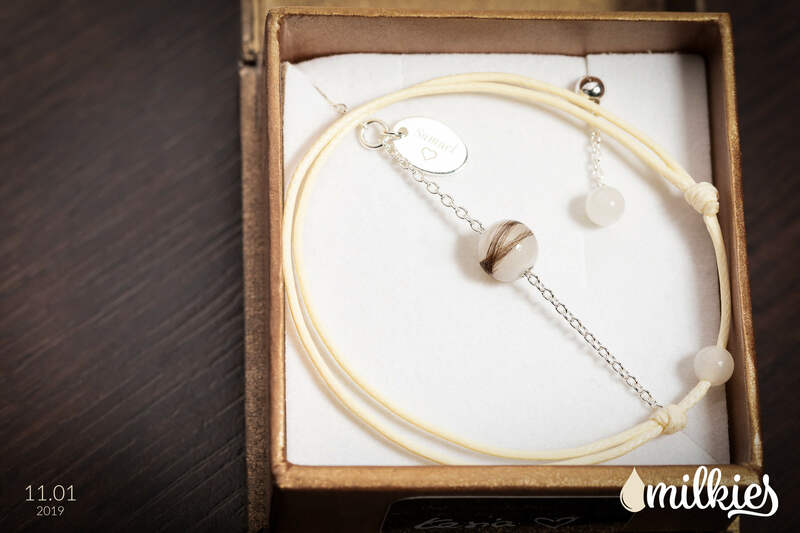 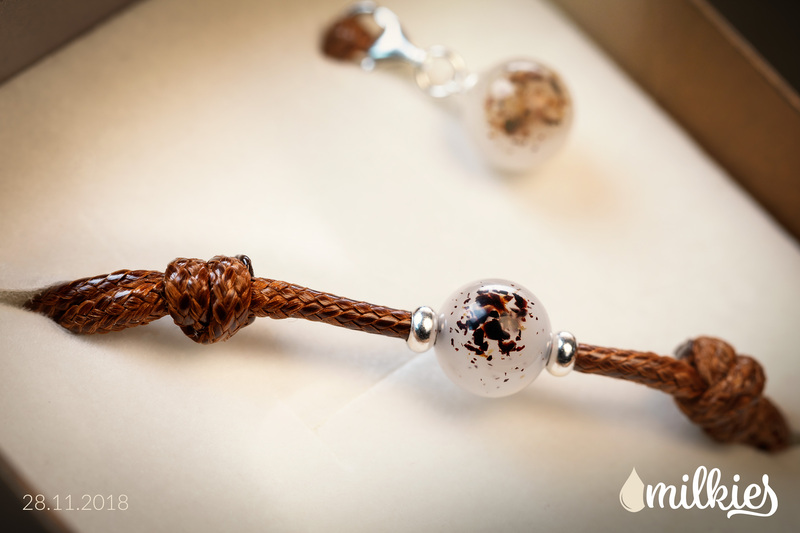 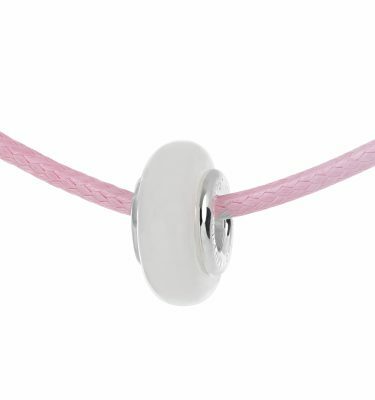 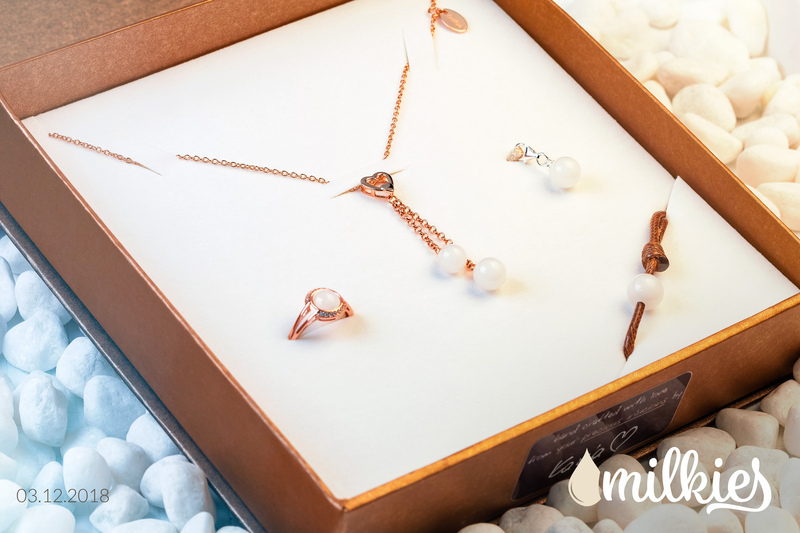 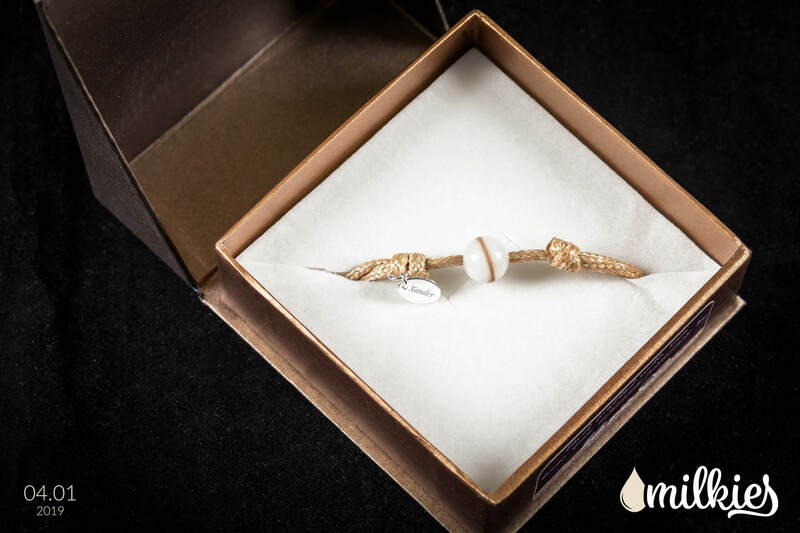 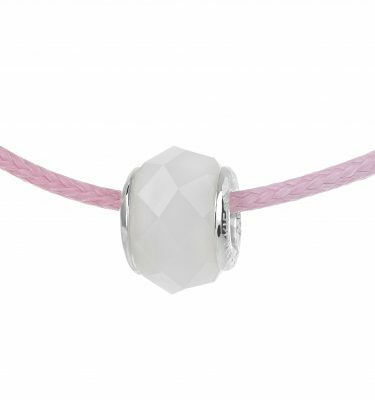 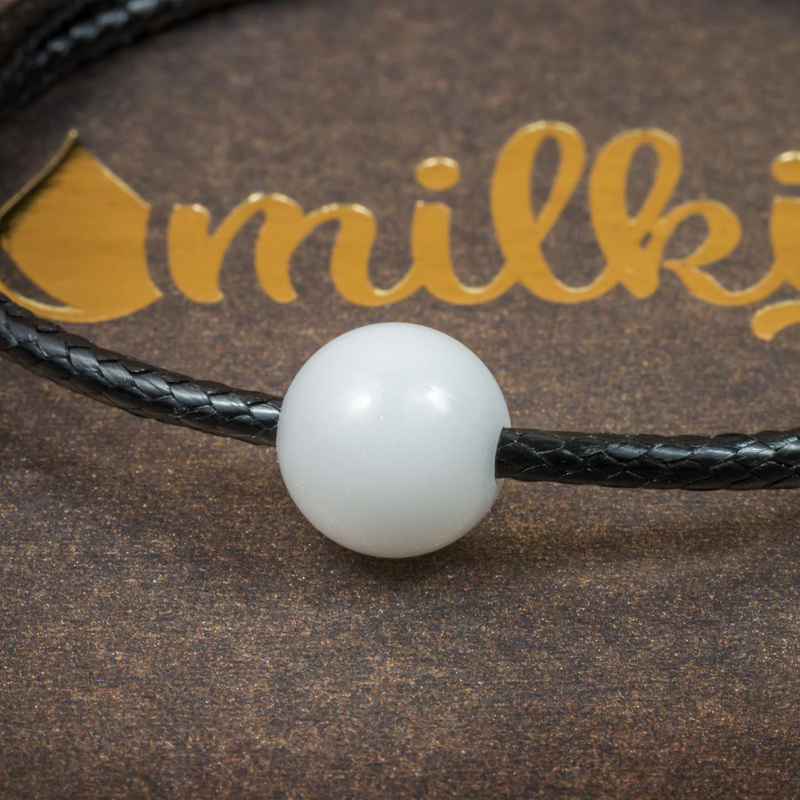 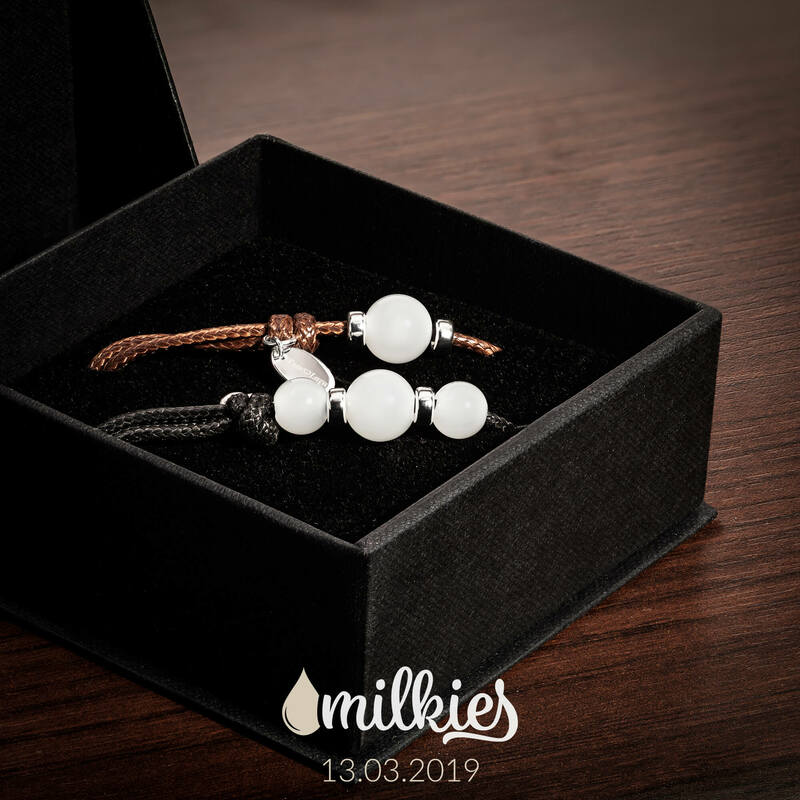 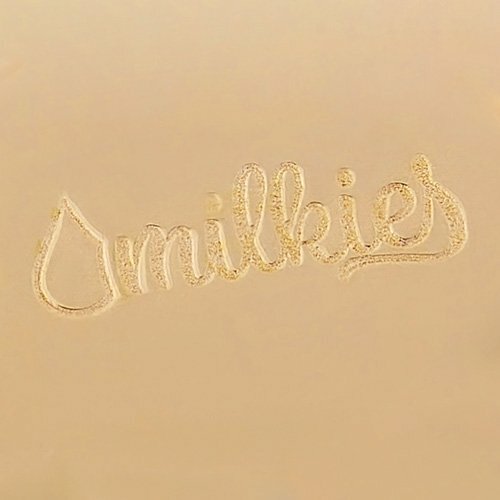 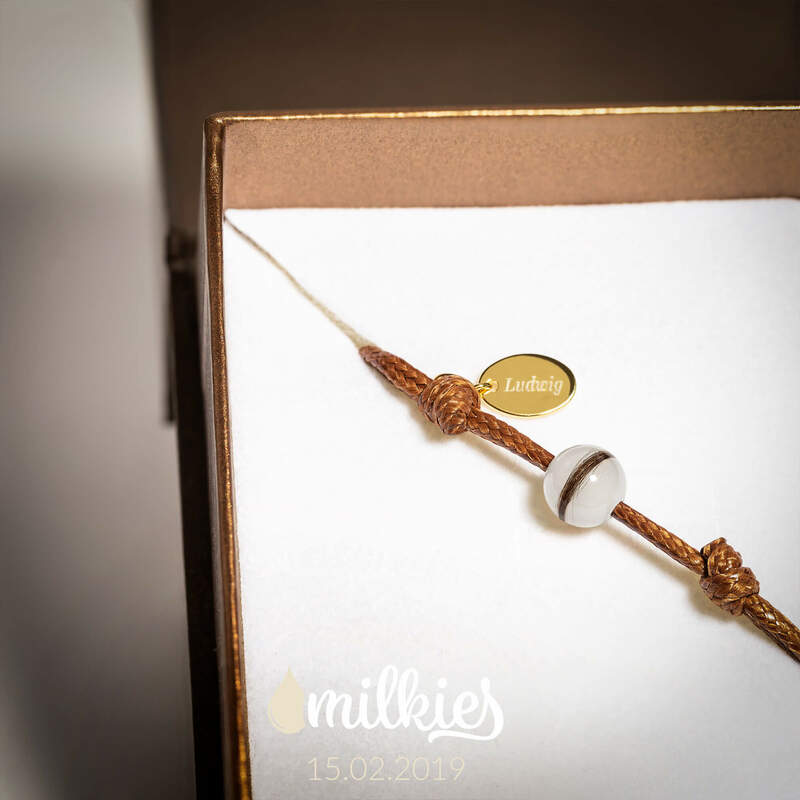 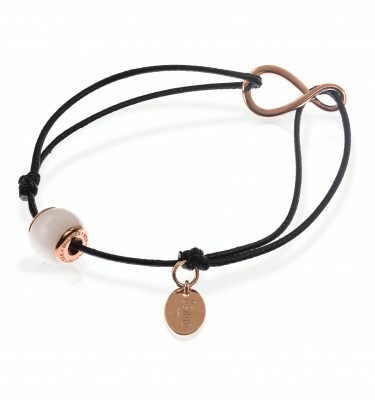 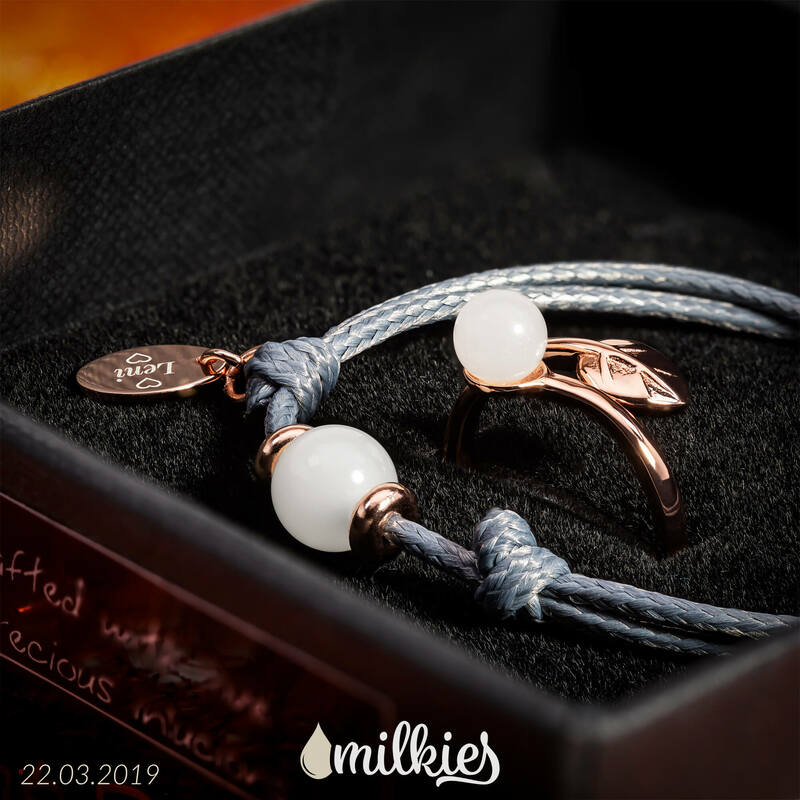 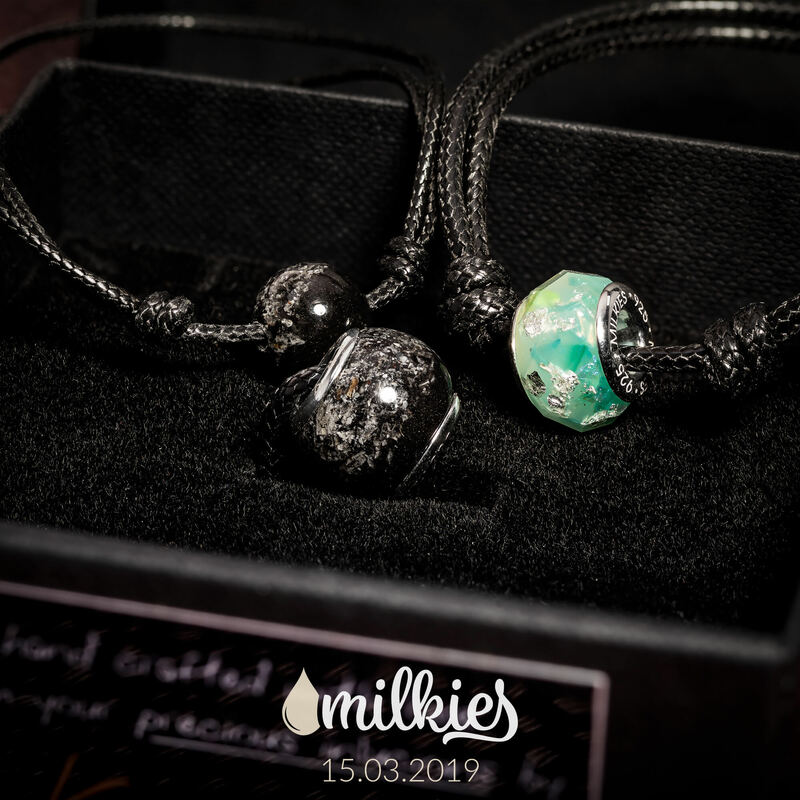 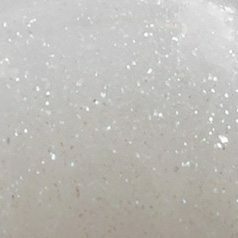 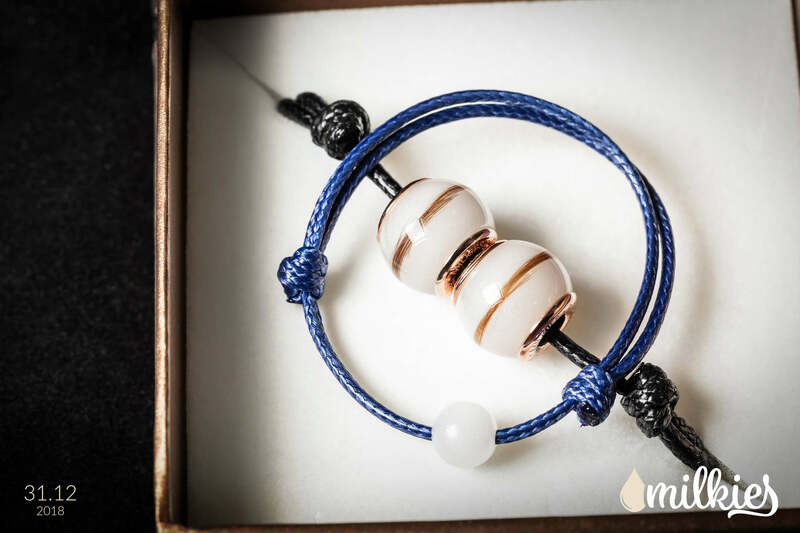 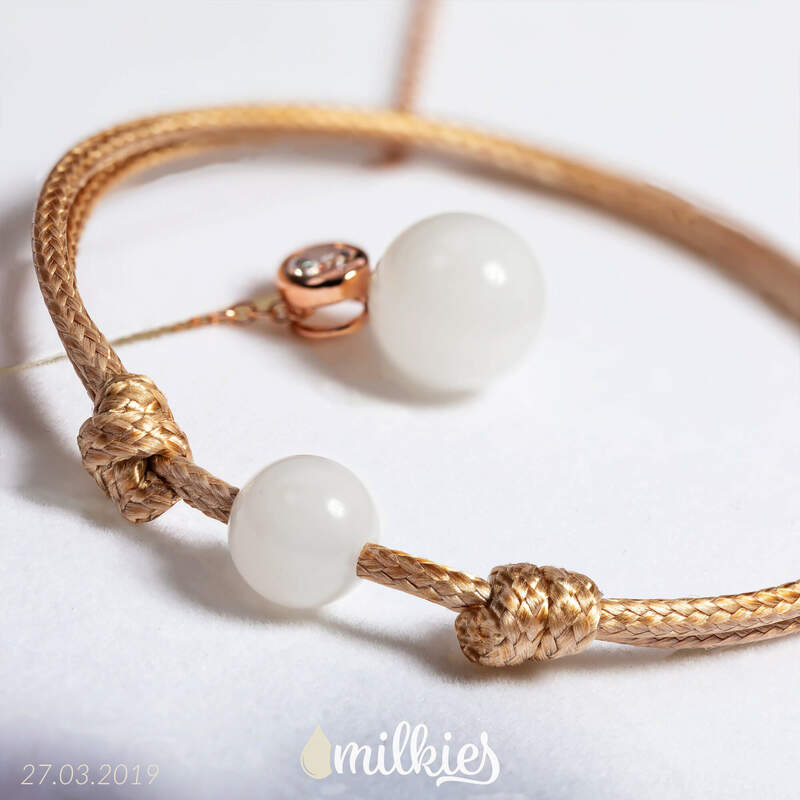 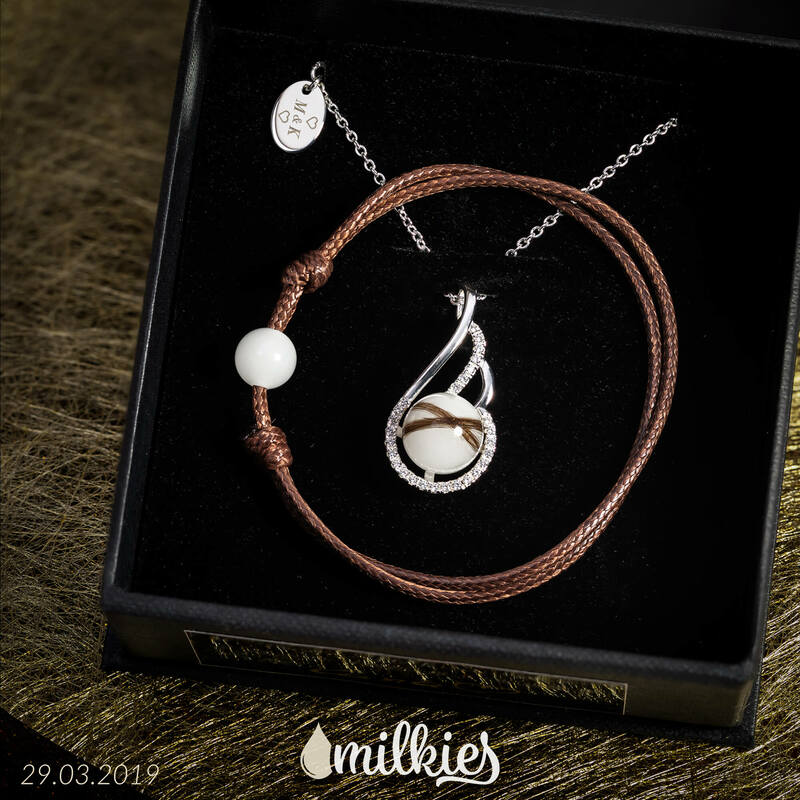 Let the Milkies bracelet with your breast milk pearl remind you of those unforgettable moments. 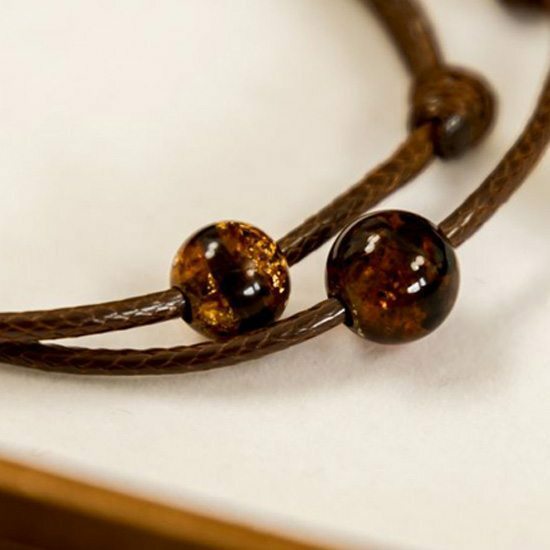 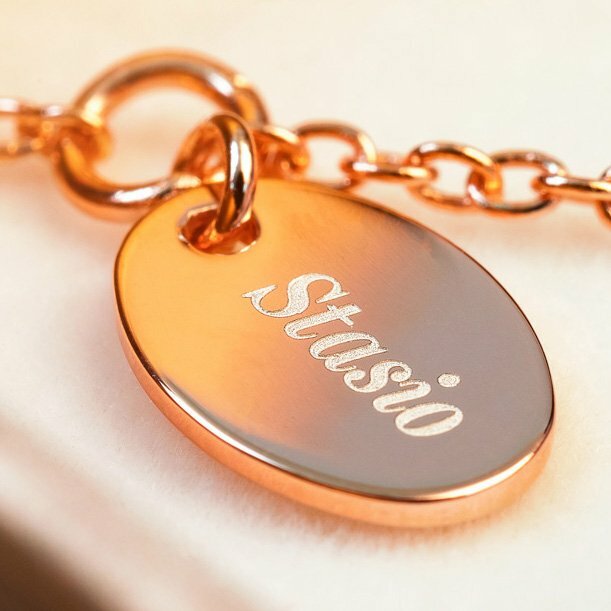 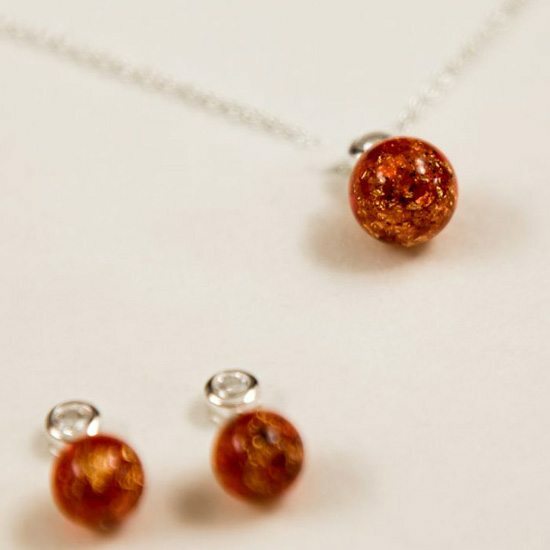 This piece of jewellery would be the perfect complement to any outfit, even for a business meeting.